The Chargers’ injury woes are now no longer confined to playing surfaces, with in-season signing Dexter McCluster suffering one at his home. One of the Bolts’ backup running backs, McCluster broke his forearm while moving luggage at his house, Michael Gehlken of the San Diego Union-Tribune reports. He will miss the rest of the season as a result. McCluster suffered the injury Friday night, and an X-ray this morning revealed a broken arm. The Chargers placed the scatback on the non-football injury list and promoted wideout Isaiah Burse from the practice squad. San Diego signed McCluster because of Danny Woodhead‘s torn ACL injury and deployed him for the team’s subsequent game. After losing Woodhead, Branden Oliver and now McCluster, the Bolts are now down to Melvin Gordon and Kenneth Farrow as their only healthy ball-carriers. They do have Andre Williams on their practice squad but have yet to activate the former Giants occasional starter. The Chargers have endured a rough run of injuries the past two seasons and are without several key pieces of their offense this season, with Keenan Allen and Woodhead being the biggest losses. A former Chiefs second-round pick in 2010, McCluster has played in all six of the Bolts’ games since signing in late September. 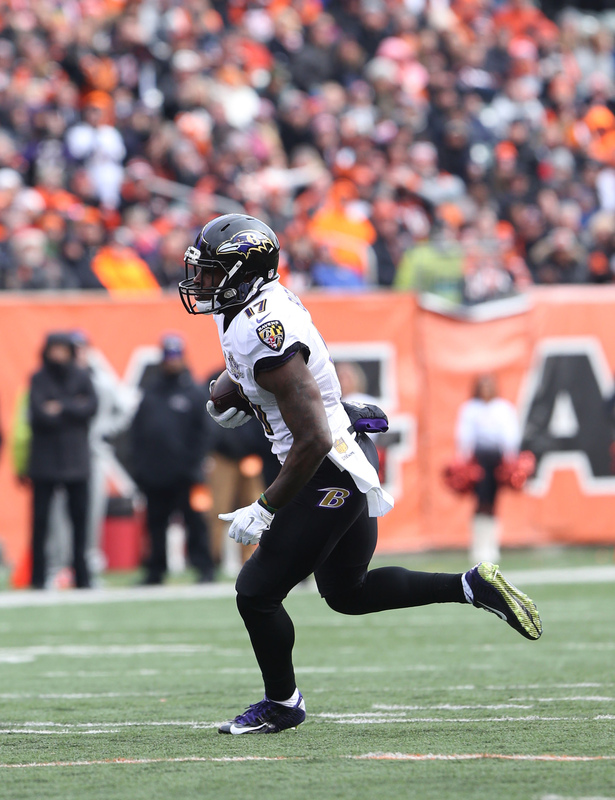 He caught seven passes for 36 yards in his seventh season. It looks to be the first slate where the diminutive back won’t haul in at least 20 receptions. The 28-year-old back twice recorded 50-plus-catch seasons with the Chiefs in 2012-13 en route to signing with the Titans, who cut him prior to the start of this season. However, the Chargers have used their in-season signing on both kick and punt returns, where he replaced Travis Benjamin, so this wounds the embattled team more on special teams than it might offensively. Farrow, though, has no receptions this season, leaving Gordon as the only reliable pass-catcher out of the backfield. The Chargers announced today that they’ve claimed wide receiver Jeremy Butler off waivers from the Jets. In order to create a roster spot, San Diego has waived fellow pass-catcher Isaiah Burse. Reports last week indicated that the Chargers were open to adding a wide receiver to their roster, and while the club still may be willing to engage in trade talks, they’ve brought Butler aboard without sacrificing assets. Of course, Butler clearly isn’t a superb offensive weapon and will likely spend most of his time on special teams, but he gives San Diego some depth while it awaits the results of tests on Travis Benjamin‘s PCL injury (Twitter link via Ian Rapoport of NFL.com). Butler, 25, joined the Jets this offseason following two seasons with the Ravens. The former undrafted free agent has yet to see the field in 2016, but he was relatively productive in Baltimore last season. Butler appeared in eight games in 2015, collecting 31 catches for 363 yards. Burse, who was just promoted from the practice squad over the weekend, has 13 games of NFL experience under his belt — he played in one contest with the Chargers last season, and spent 12 games on Denver’s roster the year prior. He’s never caught an NFL pass, and has mostly contributed as a special teams player. Burse was the Broncos’ primary punt returner in 2014, averaging 7.3 yards per return on 29 chances. The Chargers announced today that they’ve promoted wide receiver Isaiah Burse from the practice squad in advance of Sunday’s game against the Broncos. Cornerback Pierre Desir has been waived in a corresponding move. Before the addition of Burse, San Diego had only four wide receivers on its depth chart, with Tyrell Williams, Travis Benjamin, Dontrelle Inman, and Griff Whalen making up the club’s pass-catching unit. Two of those receivers are listed as questionable for Sunday’s contest, as both Williams and Benjamin are battling knee injuries. However, both players appear “on track” to play in Week 8, according to Eric D. Williams of ESPN.com. Burse, 24, has 13 games of NFL experience under his belt — he played in one contest with the Chargers last season, and spent 12 games on Denver’s roster the year prior. He’s never caught an NFL pass, and has mostly contributed as a special teams player. Burse was the Broncos’ primary punt returner in 2014, averaging 7.3 yards per return on 29 chances. 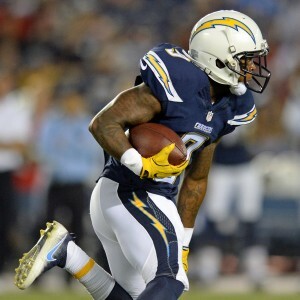 Desir, 26, was waived by the Chargers last Saturday before being brought back into the fold the following Monday. He’s appeared in five games for San Diego this season, but has played on only 22 defensive snaps — he’s managed another 37 on special teams. 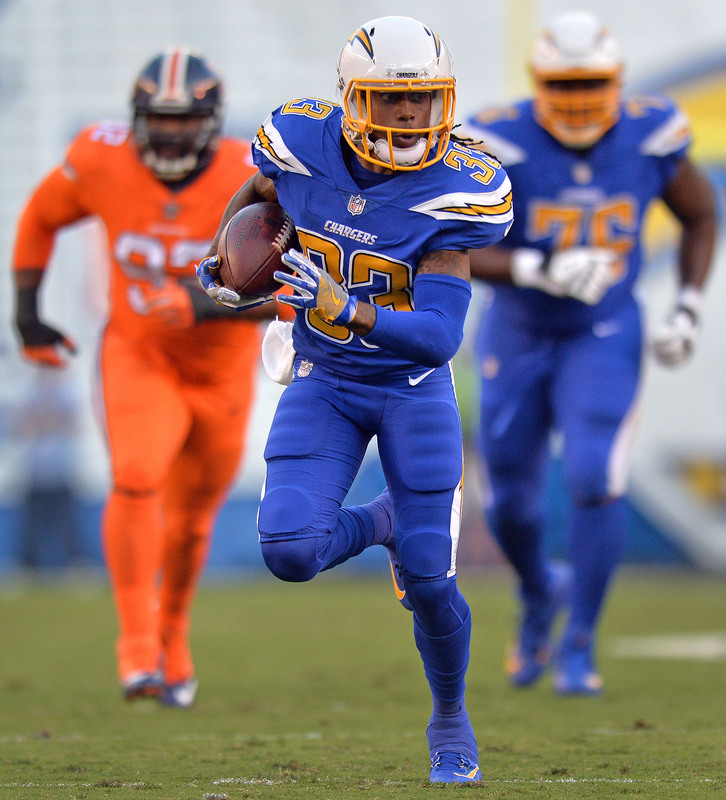 With Desir out of the picture, the Chargers will head into their divisional matchup with Brandon Flowers, Casey Hayward, Craig Mager, Steve Williams, and Trevor Williams in the defensive backfield. The Chargers waived wide receiver Isaiah Burse, as Michael Gehlken of U-T San Diego tweets. The Buccaneers waived linebacker Josh Keyes, per Greg Auman of the Tampa Bay Times (Twitter link). Keyes played extensively on special teams in the first two games of the season. The Colts released safety Winston Guy, according to Adam Caplan of ESPN.com (via Twitter). The Broncos waived defensive lineman Kyle Peko, as Mike Klis of 9News tweets. The Giants terminated the contract of offensive tackle Byron Stingily, reports Ralph Vacchiano of SNY (Twitter link). The lineman was on IR with a concussion. The Bears waived fullback Paul Lasike, as Brad Biggs of the Chicago Tribune tweets. Lasike saw 14 snaps in Week 1 and just five snaps on Monday night.